Make sure your fashion presentation takes "center stage" and doesn’t get upended by a "sideshow" of underarm bulges. 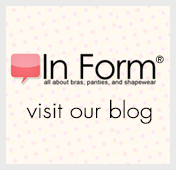 The firm-control, shaping camisoles of this silky smooth collection will do just that as they also flatten your mid-section and not your bust. Available in different necklines, each one can be worn as a comfortable intimate or as an attractive, outer top. You’ll love the fashion flexibility they provide.